A CRM with poor data quality can feel like a very large waste of money. You know how powerful a CRM like Salesforce can be for your sales team, but you can’t leverage its power if your data is inaccurate. Don’t get down on yourself or your sales reps, though; poor data quality happens all the time and for a number of reasons. Whatever the reason for your team, we’re here to help you get a fresh start (without rolling out CRM for a second time). Here are three steps to attack your CRM data issues. 1. Ensure operating metrics align with CRM adoption. Your organization’s key operating metrics are how you measure performance. If reps know that their performance and compensation have nothing to do with entering CRM data correctly, then why would they be motivated to do so? The first step in fixing data quality is to make sure that reps are expected to log accurate activity data. Then let them know that you’re paying attention. Conversations: Conversations (not just calls) with existing customers. Opportunities Created: Opportunities uncovered for increased business, through upsells, cross-sells, etc. The key here is to ensure they know that you track these specific metrics to monitor sales performance — and that you get the data from your CRM. You can even tie metric goals into rep compensation as an added step. The point here is that when data logging supplies you with the metrics for performance evaluations, reps will be much more inclined to participate. 2. Incentivize data cleansing with short-term motivation. Another way to get rep buy-in on clean CRM data is to motivate them with temporary initiatives — to rally reps around cleaning your existing database. One way to do this is with specific key performance indicators (KPIs), which are metrics that indicate how you are tracking toward a defined end result. 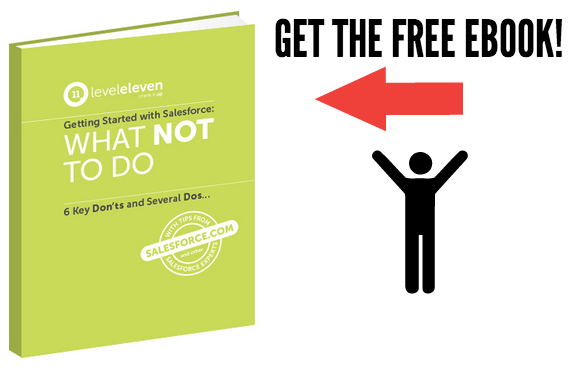 Let’s say your goal is to clean 1,000 Salesforce contacts this month and you have 10 sales reps on your team. You can assign a sales KPI for each rep to clean 100 contacts this month. That might sound like a lot, but when you divide it by an average of four weeks per month (25 contacts/week), and then five days per week (5 contacts/day), it becomes much more achievable. Another way to prompt reps to clean poor data is with contests. For example, if your database is full of duplicate contacts, run a week-long contest that awards reps with one point for every duplicate contact they remove from the system. At the end of the contest, the rep with the most points receives a small reward (a few inexpensive sales incentive ideas here). Just make sure your CRM is set up so that reps are able to log the sales KPIs or contest activities; otherwise you won’t be able to track their progress and reward their success. 3. Invest in database-cleaning technology. Investing in sales stack technology that cleans your CRM is another important option; after all, there will always be a certain amount of human error without this technology. Consider tools to validate data, de-duplicate contacts and/or prevent erroneous or duplicate contacts from being entered into the system. Oftentimes, a combination of these steps will provide you the longest lasting data quality solution. Use them to help eliminate poor data quality, and start getting the most out of your CRM investment. Bad data? No problem. We’re here to help you get a fresh start (without rolling out CRM for a second time). Here are three steps to resolve CRM data issues.